High quality in-line balustrade pillar with thread for flat profile stainless steel handrail. Selection of fitting options available. 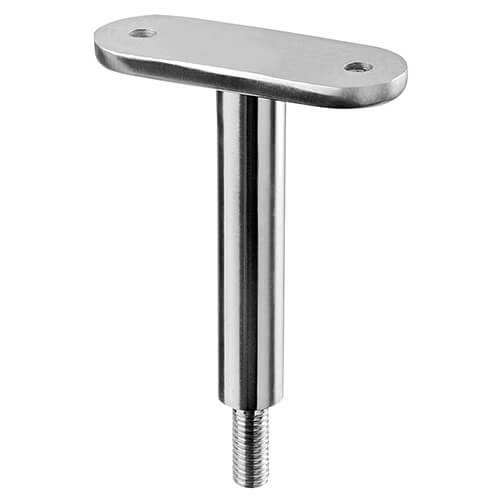 Stainless steel M10 threaded handrail pillar with a flat mount to support flat handrail. An ideal choice for flat hardwood handrails. 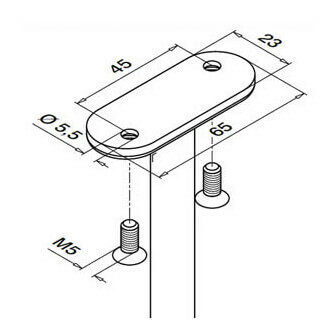 This pillar is perfect for a quick and easy installation into threaded post caps for balustrade posts. Finished to a superb brushed 320 grit satin. Suitable for use with Threaded Post Cap Components. 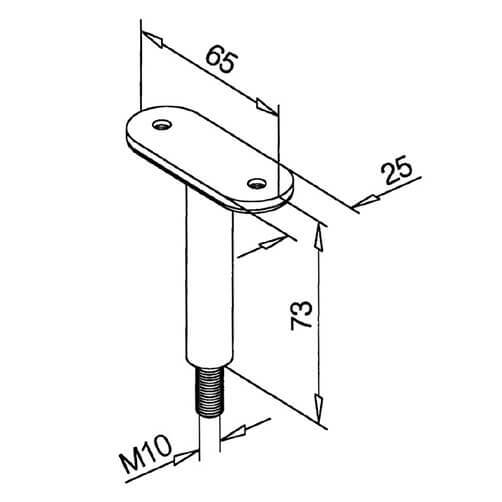 M5 x 20 Hex Head Screw required for installation.